Although I am billing this as a trip report in fact it was a morning birding the island that I managed to slip in during a short trip away with one of my kids. We were there for snorkeling primarily, but it just so happened that my sister and her kids were on holiday there too, a complete coincidence, so I managed to negotiate a play date with cousins and went off for a few hours. As such I am dispensing with the usual logistics and itinerary, and just going for a glorified trip list. I did engage a guide (as I frequently do where birding is a side-show) but in truth I am not sure I got great value from this. My guide came away with two island ticks which probably tells you all you need to know - there is no delicate way to say this - he was simply not impressive, and professional bird guides need to be impressive. First off he did not have a telescope, so we could not identify anything distant such as small waders. Secondly he was not remotely up to date with island birding. That said I was very much in a Caribbean frame of mind, relaxed and happy as opposed to nervous and twitchy, and my guide was very personable and similarly relaxed, so I had a fun morning. He also had a car and he did know the sites, so I guess that without him my ability to find and get to the sites that held the key birds would have been limited, at least not without a ton of research that I did not have time to do. 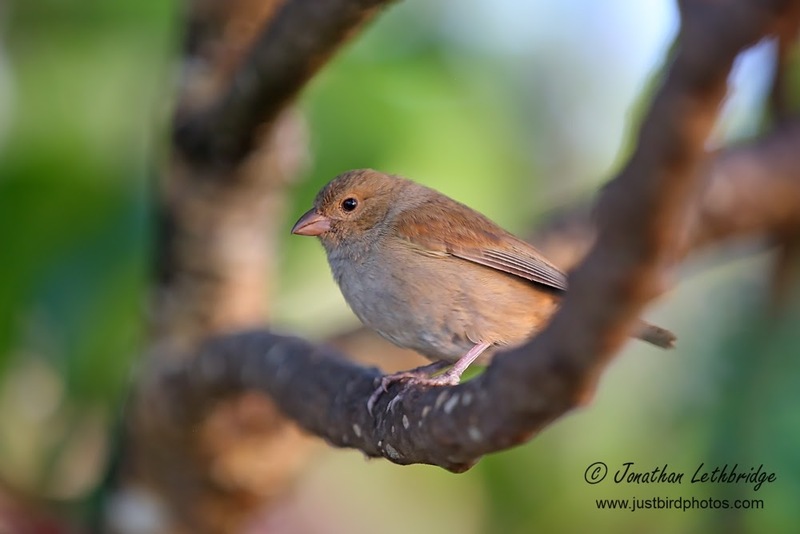 Barbados does not have many birds, and the single endemic – the Barbados Finch – is completely ubiquitous and will be seen almost everywhere. The Barbados Golden Warbler (Dendroica petechia ssp petechia) is an endangered and endemic subspecies of the very complicated Yellow Warbler complex so that was worth seeing, but apart from that there is nothing on the island that you won’t be able to see somewhere else. In other words don’t bother go to Barbados for a birding holiday, unless it is half a day as part of a wider Caribbean trip. 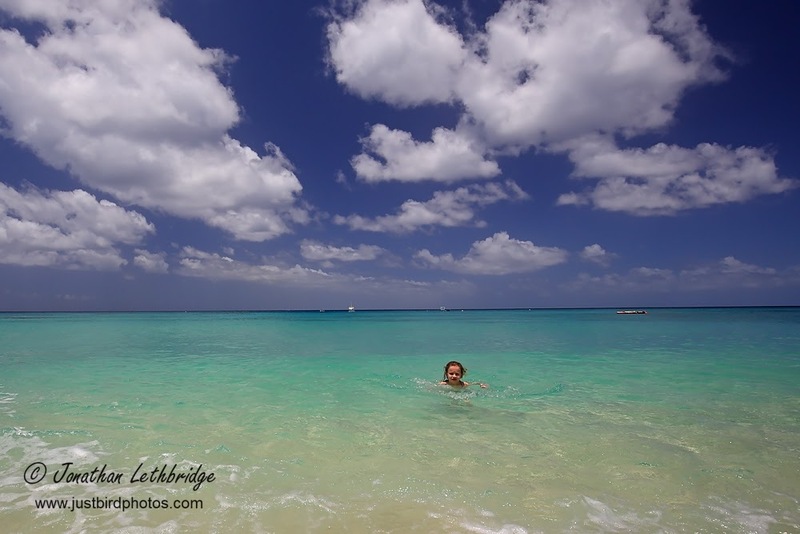 Do go to Barbados if you want to meet friendly people, eat great food, and have a very chilled out holiday. Here is a quick run-down of the sites I went to. Barbados Bullfinch. I took this at a hotel cocktail party. A small number of Royal Terns were present on the Jetty here with some Laughing Gull. 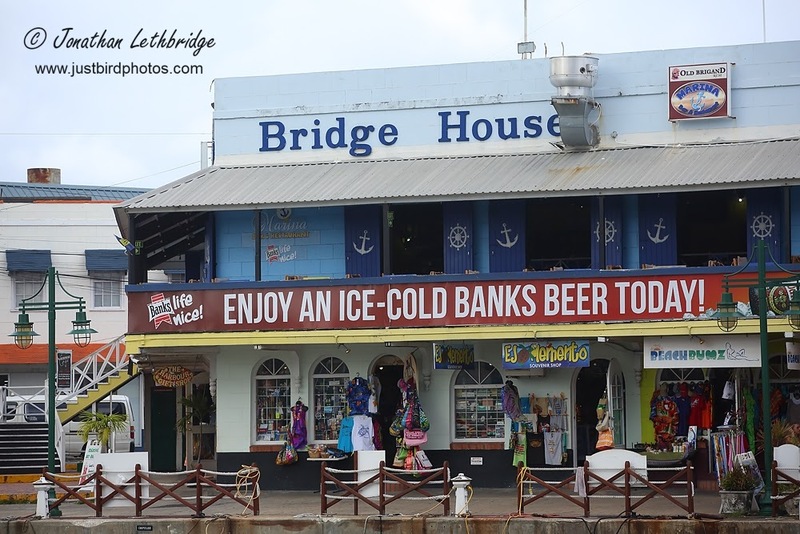 This is closed to the public and has been for several years – the owner is in dispute with the Barbados Government over their lack of action in preventing external factors from damaging the mangrove habitat. You can view into it along the sluice that used to feed the swamp, and it was here that I got the Golden Warbler in the trees. Solitary Sandpiper was here too, along with Caribbean Elaenia, Caribbean Martin, Antillean Crested Hummingbird and Black-faced Grassquit. Viewed this wetland area from the residential streets at the NW corner, but as neither my guide nor I had a scope it was hard work. Lesser Yellowlegs, Snowy Egret and Great White Egret were obvious, as was the vagrant American Flamingo that had, unbeknownst to my guide, been on the island for about six months. Barbados needs a birding Whatsapp group. Semipalmated Plover, Least Sandpiper and Semipalmated Sandpiper also present in decent numbers but without a scope the views were rubbish. 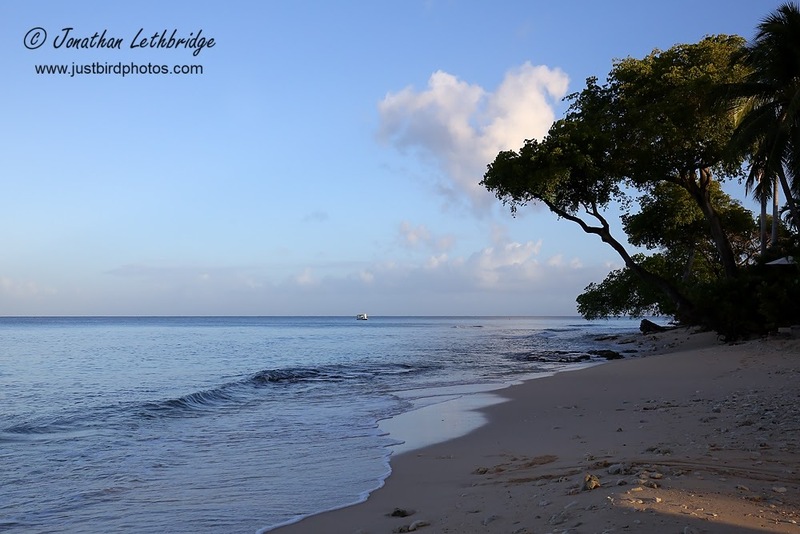 A rocky shoreline east of Bridgetown was unfortunately quite sparse in bird life at the time of my visit, but I expect that in different weather you might get fly-by Terns and Frigatebirds. There were no waders on the beach. A series of small ponds near the village of that are extremely rich in bird life. The first bird I set eyes on was a Spoonbill. My guide couldn’t believe it, Roseate Spoonbill would have only been his second! I had concerns though, mainly about how white it was, how not pink it was, and somewhat telltale black in the wings. Frankly it was suspiciously like a Eurasian Spoonbill, which was very confusing indeed. An escape perhaps? But who keeps Spoonbills? We carried on birding, great views of Least Sandpiper and Pectoral Sandpiper here. This is basically a village duck pond, but I actually got another tick here, Masked Duck, a bird I had been hoping to see and that I had missed elsewhere on other trips to the region. They were incredibly hard to see on even a small pond, and it took another bird guide turning up to show us exactly where. Very smart little things, I know it is bad to anthropomorphise but they looked very cheeky. The other guide also confirmed that there was a Eurasian Spoonbill knocking about and that it was a genuine vagrant that had been on the island. I still think I can legitimately claim this as a find as I knew none of this. - apparently this is not the first either, with a record in 2008 of two birds. Anyway, the important thing is that my guide got another tick…Plenty of Green Heron in breeding plumage here too, and lots of Common Gallinules. The lake near the main road had a large flock of Black-bellied Whistling Ducks as well as two Fulvous Whistling Duck.